The Pond House Salon-Style Retreat— WE HAVE ONE SPOT LEFT! The Workshop setting is intimate and comfortable in the historic house. There are six bedrooms, and spaces are filling up fast! Fall is coming and in that crisp beginning of the season there’s no better time to drop your daily to-dos and come join the muse. If the open page is calling and your book dreams are knocking, get ready to answer the call with me and literary agent Dede Cummings during the 2013 Pond House retreat on the coast of Rhode Island, October 24-27 —the house was built in 1900, and sits on the water. Four days of getting downloads about your book, kick-starting your project and giving you the oomph, pizzazz, and self-assurance to take your writing further than you’ve ever imagined. The Pond House is one of those classic summer “cottages” from your best daydreams with wrap-around porches, sleeping coaches, a huge dining room (we cook for you! ), a green sloping lawn to the water, walking trails and, just steps away, a crashing coast. The Rhode Island retreat is all about sparking ideas, rousing the muse from your bed, jumping the waves, and bringing the page alive. In the end, you will have a sisterhood of writers and inspiration to bring home with you. These salon-style retreats are domain changing. The method ceases negativity and resistance, re-calibrating and re-programming your body so you write from your strength rather than your weaknesses. The salon-retreat will uncover your most profound talents. Finishing the book will become one of the easiest, most ecstatic experiences of your life. Come join us. There’s no better time than right now to get a book published. October 24-27th 2013 • Hurry; hurry, before the spaces sell out! 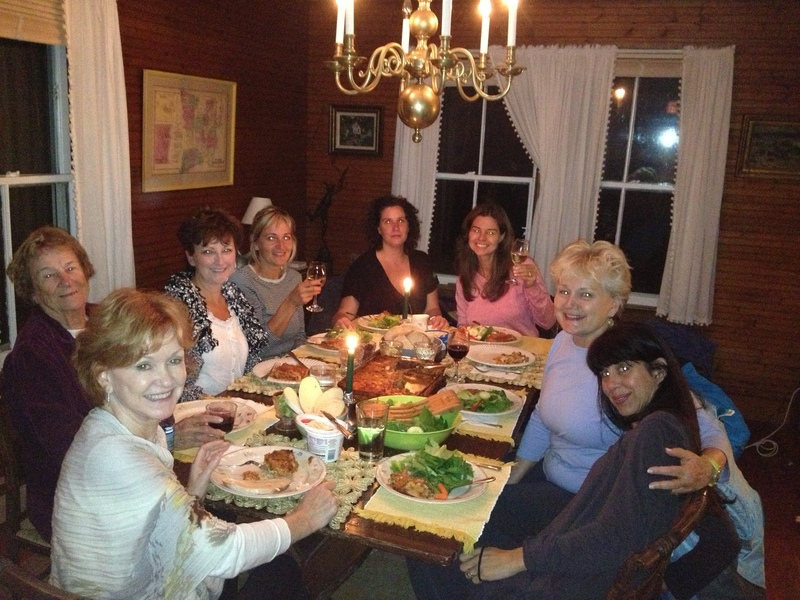 Dinners and readings occur at night—after a day of workshops, walking, yoga, etc. We cook for you! $1200 includes absolutely everything including bodywork, scrumptious organic food and one-on-one meetings about your project throughout the weekend. Register with a deposit of $600 before September 20th for a discount of $200!
. . . a gorgeous 6-bedroom, private, waterfront retreat . . .
$1,200 includes absolutely everything • Register by September 20th and save $200! 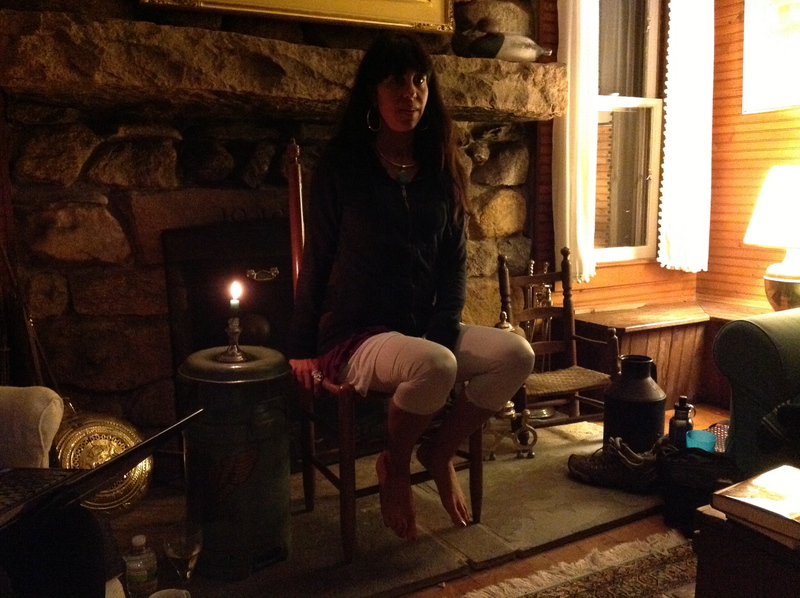 Suzanne last September, leading a workshop reading at the Pond House retreat in front of the fieldstone fireplace. Suzanne Kingsbury is the author of two coming of age novels, The Summer Fletcher Greel Loved Me and The Gospel According to Gracey, both published by Scribner, optioned for film and sold extensively in the States and abroad. You might have seen Suzanne in People magazine, Glamour and the LA times among many others. As founder of Wild Words, she developed a method of teaching built from neurotheologic research at Penn and Harvard. By ceasing activity in the part of the brain associated with negativity and resistance and focusing on writers’ strengths, any weakness in craft falls away, and writers can reach previously unimaginable creative heights. Writers who have worked with her have seen their books go into bidding words, garnered 6-figure advances and been on NBC, ABC and CBS affiliates as well as Forbes, the Jane Pauley Show and many others. She has helped hundreds of writers make their book dreams come alive. This year’s 2013 Writer’s Guide has named her one of the experts on creativity and the imaginative process. In Matunuck she we will meet with you individually to discuss your writing project and to help see you through to the places you want to go with your writing. 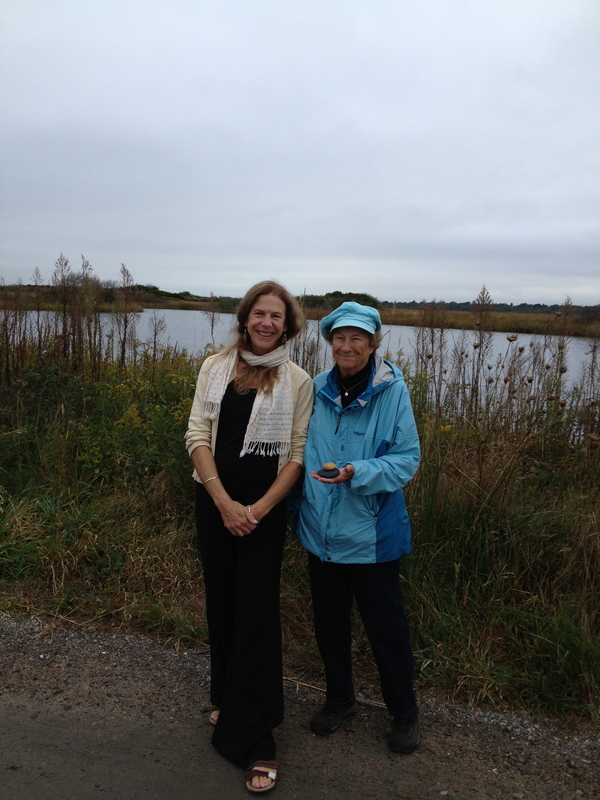 Dede (left) and Cardy Raper, PhD, one of last year’s participants, on a walk to Trustom Pond near the Pond House. Dede also enjoys her work as a public radio commentator for Vermont Public Radio, and she loves to hike, and knit, and read novels in her spare time. In Rhode Island, she will help you think about all aspects of publishing from pitch to publicity. Prior to the Retreat, she will attend the Bread Loaf Writer’s Conference where she will meet with other agents, publicists, and editors, with the intent to make contacts for her writers at this premier event. She is excited to meet you in Rhode Island. Our view from the terrace—There is 800 feet of private waterfront, a canoe and kayak, and a private dock. It is pretty nice with hiking trails nearby and miles of beach . . . 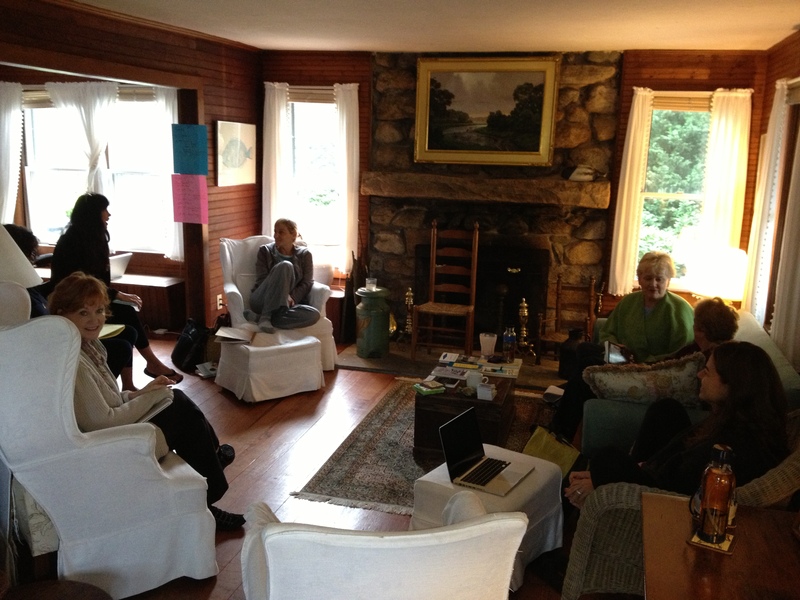 Guest Post from Suzanne Kingsbury ~ Wild Words Writing Retreats!